July 20, 2016 Categories Colorado, FoodColorado, coworkers, Denver, food, food trucks, gene, lunch, work1 Comment on Food truck Wednesday! Today my coworker and I walked down to the Capital to meet Gene and his coworkers for lunch. 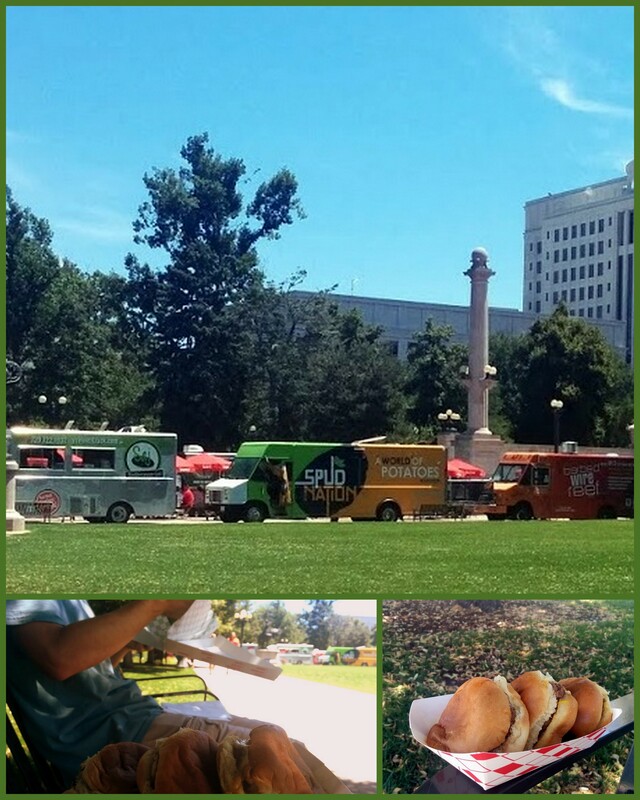 Every Tuesday, Wednesday, and Thursday during the summer food trucks gather by the Capitol. So we met up and had lunch! I got some hamburger sliders from 5280 Burger and Gene got some pizza. It was extremely hot out but it was really nice to see my handsome boyfriend during work hours. I think my coworkers and I should come down here another day when it’s cooler. What fun! We have a friend who has a food truck in downtown Denver. It’s the Mediterranean one.